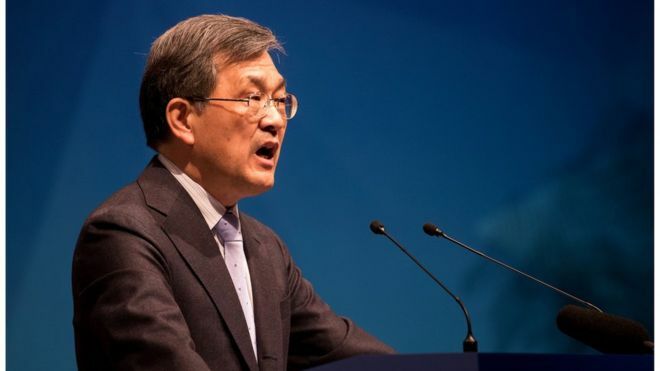 Amid claims Samsung Electronics is facing an “unprecedented crisis,” CEO Kwon Oh-Hyun has announced he is stepping down from his role. He’s likely referring to the arrest of Lee Jae-Yong, the de facto head of Samsung Group; the 49-year old leader was imprisoned in August after he was found guilty of bribery and embezzlement. The news follows Samsung Electronics’ prediction of record profits for its third quarter: it estimates that it’ll rake in $12.8 billion USD, which works out to a 179 percent increase from the same period a year ago, reads a report from Bloomberg. A few hours before Kwon dropped the bombshell, Samsung Electronics said it expected profits for the last quarter to be at an all-time high, mostly thanks to the increase in memory chip prices. Sales of the Galaxy Note 8, which received more pre-orders than any other phone in the Note line, also helped boost the numbers. The future of Samsung Group’s biggest earner hangs in the balance. The company will have to work quickly to find successor; Kwon will only serve as a member of the board, as well as the CEO of Samsung Display, until March 2018.